Here is the catalog for the Honda Odyssey from the legendary RA1 to the latest RB4 model. Thanks to Petot for the article. You will need Adobe Acrobat to view the article. This fact book is based on Honda Japan Odyssey Factbook Odyssey Press Informatione only and owned by Honda Japan Ltd. The Honda Odyssey utilizes and innovative low floor platform with new exhaust system layout(3) and placement of the fuel tank(1) and rear suspension(2) under the floor. This results with an impressive lower height of 1,550mm while having more interior height compared to the previous model. All of these results in a lower overall height, center of gravity that promotes excellent stability. The fuel tank is a completely flat plastic mould which have been reinforced at four locations. This design allows the same 65 litres as the previous model. The fuel tank is placed under the second-row seat and this contribute significantly for lower center of gravity. The rear suspension uses a compact design for space-efficiency while maintaining high stability and comfort. The flat twin silencers has been placed under the luggage floor. The new design contributes to improved quietness and high output while maintaining low emission standards. * Note :This fact book is based on Honda Japan Odyssey Factbook Odyssey Press Information dated 17th October 2003. All the contents are for informational purpose only and content ownership belongs to Honda Japan Ltd.
With ground breaking platform technology, the Honda Odyssey takes you to a whole new world of driving experience. Featuring an ultra-low platform technology, Honda has redefined the interior space of an MPV through space-saving technical innovations in the engine, suspension, petrol tank and exhaust system design. The overall height of the car is decreased by 80mm, greater visibility and accessibility to height-constrained parking facilities. Now the Honda Odyssey truly defies conventions with its sporty trimmings while retaining the same performance-driven technology. The overall height is 80mm lower compared tothe previous model, which allows to fit into the general parking structure. Despite in the reduced overall height, the interior height is increased to 5mm. In addition, a shortened nose is achieavable with a more compact engine. Despite a shorter body length of 10mm, the Odyssey have extended length of 50mm of interior room. This allows a generous cabin that can comfortably fit 3-row with seven occupants. The wider floor luggage space is achieavable with the new plastic fuel tank, compact rear suspension and flat silencers. With the floor is 90mm above the ground, unloading luggage is made easier as compared to the previous model. A maximum of 1,052 Liters of space is achievable with all seats stowed into the floor. The tailgate can be controlled via operation switch on the instrument panel and the remote control keyless entry system. The second row seater is equipped with a walk in mechanism for easy access to the third row seater. The electronically-assisted third-row seats tuck away neatly into the floorboard at the touch of a button while the second row double-fold to allow them to be stored flat - adding up to a cavernous luggage space of more that 1000 liters. The sophisticated fusion of cozy living room and ease of use using dynamic modelling is applied around the driver's seat. The design emphasize on ease of use, high visibility from the center panel to the instrument panel and door trims. Titanium panels and wooden grain panels add to the high quality interior finish. The first column, third row seat in the cup holder and the foot of the second-row seats, there are LED lighting established in conjunction with the small light blue lamp. The first column have the same color to the room lamp LED lighting for second-row seats (with ON / OFF switch) provides gentle illumination. The driver's seat comes with an adjustable 8-way power seat(Standard on Type L). 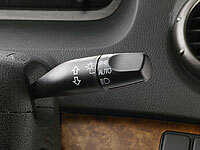 The Drivers position can be adjusted by simply manipulating the lever up and down the the console. Optional Recaro Seats available for Absolute Model. The self illuminating meter on the Honda Odyssey shows a stylish and vision-friendly design. When the driver side door is opened, the lights around the meter will slowly lit up. It also features a bar graph to show instant fuel consumption. Each equipped with a full auto air conditioning front and rear. In addition, the front has left and right independent temperature control and expression. This, because it enables you to use a temperature setting independently in the three zones of the first column, 3 row seat / 2 seat passenger / driver seat, respond effectively to suit the taste or the number of occupants. Temperature control of the rear seat can dial-in and one controller left and right front, but also enhances operability. In addition, M and S is the Absolute standard full auto air conditioning front + rear manual air conditioning, front full auto air conditioners. In addition, the increased cooling efficiency inside the roof adopted effective insulation material for all types, in the car CVT has also contributed to the low fuel consumption by coordination with the ECON mode control. The Odyssey's i-VTEC engine is a combination of Honda's VTEC(Variable Valve Timing and Electronic Lift Control) with VTC(Valve Timing Control), to optimise intake valve timing in response to engine load. The 2.4-liter engine combines high torque and high fuel economy with low emissions capable of meeting Euro-4 emission standards. Power output is a more than adequate 160ps and the torque figure is an equally respectable 218Nm. Which means swift progress can be enjoyed effortlessly at the tap of the accelerator. A combination of VTC on the adopted mechanism VTEC to the intake and exhaust, to control continuously depending on engine load phase of the intake valve timing, the core i-VTEC system Valve Timing and Lift Intelligence, high by applying the tuning of the intake and exhaust system further, high combustion efficiency throughout. 147KW [200PS] / 232N-M [23.7Kg-M] ※ with an overwhelming performance with sharp response from the drive-by-wire technology. Also excellent environmental performance, (10.15 mode) 11.0km / L Moreover ※ with to achieve low fuel consumption - certified "excellent low-emission". The onboard Sensor Control coupled with Linear A/F sensor in high precision air fuel control with high atomizing injectors results in cleaner burning fuel. The heat loss is minimized by using low-heat mass exhaust pipe which maximizes the effect of the catalyctic converter. A newly developed 7 Speed CVT mated to the 118Kw[160PS] to achieve full utilization of engine power and fuel efficiency. ECON mode allows low fuel consumption at very low engine speed. The torque converter has a high response and strong starting acceleration. It delivers smooth acceleration on demand and provides lower fuel consumption throughout the rpm range. ECON Mode allows fuel efficiency driving by lowering the optimal engine speed. This feature controls the engine, CVT, air conditioners to an extensive torque converter lockup area to increase fuel efficiency while driving. Low, sharp, forceful side configuration, and powerful front fenders, and a new car pose with its unique presence. Sharp lower, front view finished to look fearless. Chrome grill shine with style, shape headlamps and subjected to thin metallic blue color scheme, fused at the lower front of the dynamic modelling.Allowing a fearless and sharp look.It also reflects the strength and feeling great wide front fenders. The millimeter-wave radar with excellent weather resistance located in the front grille to measure the distance between the car before running in the 100m range forward, angle of 16 degrees, by detecting the state of the vehicle traveling speed by using sensor and yaw rate sensor. Similar with normal cruise control, additional features to keep the speed set is possible by automatically control the vehicle speed by detecting the presence or absence of the car in front of the same lane. Included in the display in addition to IHCC and CMS Statuses, are various warning messages. The Honda Navigation System adopting an 8" large display monitor.Taking advantage of high speed processing and large capacity hard disk, this is a system with navigation aide and voice recognition features. Included are the Sound Container to store music. Dedicated 9" retractable display unit with a dedicated TV and DVD player. Included with the package are two wireless headphones supporting 5.1 channel audio, with remote control. Rear Camera with Guidelines assist drivers for rear view parking situation. In addition the camera is housed neatly in the tailgate garnish. Standard Keyless Entry with immobilizer which could be operated to open doors and luggage compartment. [Unlocking the door.] sensor detects the inner door handle and holds the door handle. Unlock the authentication ID in an instant. [Locking the door] down from the car and lock automatically when closed the door away from the area authentication. [Ignition operation] ID authentication is performed by pressing the knob on the ignition switch. You can stop / start the engine as well as the normal key. 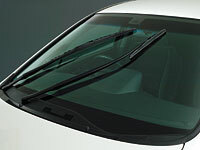 Windscreen heaters removes snow and ice from the wiper with a 15-minute timer which automatically turns off after activated. Infrared sensors detect raindrops which controls the wiper speed automatically based on the amount of rain fall detected.You can also adjust the sensitivity on the volume dial on the wiper lever. 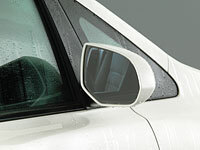 To ensure clear vision, the glass door and water repellent door mirrors have built in heaters to overcome haze build up. Automatic lights detects environmental brightness which aided the driver during driving. ※ 1 "Side-curtain air bag system" and "i-side air bag system for the first column sheet" will be the manufacturer's option in the set. Simultaneous wearing "glass sunroof Front" "power tailgate", M is, with "electric under-floor third-row seat storage" can not be also. Absolute is installed simultaneously with the "Recaro bucket seats" can not be. ※ 2 "Recaro bucket seats" is installed simultaneously with the following equipment is not allowed. ※ 3 "IHCC" and "CMS + E-pretensioner" will be the manufacturer's option in the set. ※ 4 If you are attached to the Absolute "Premium Sound System", will be fitted simultaneously with one of the following equipment. ※ 5 If you are attached to the Absolute to "leather seats" will be installed simultaneously and one of the following equipment. ※ 6 Left and right seat. The central two-point seat manual. ※ 7 Will be integrated to function, "IHCC" If you install a "IHCC". ※ 8 "Rear entertainment system", can be installed If you install a "Honda · HDD navigation system with rear camera voice recognition." In that case, will be installed simultaneously with the "power utility package." Simultaneous wearing with "electric glass sunroof Front" also is not allowed. ※ 9 If you install a "Honda · HDD navigation system with rear camera speech recognition", will be installed also "audio remote control switches" and Absolute is M. In that case, will be integrated to function "Honda · HDD navigation system with rear camera speech recognition" "CD player with AM / FM tuner" is. Also, if fitted with a "CD player with AM / FM tuner" and "Honda · HDD navigation system with rear camera speech recognition" to M, 4 speakers will be six speakers. ※ 10 "Seat center table the first column" if fitted with a "rear entertainment system" is a collapsible retractable, specifications and will be fixed. If you install one of the "premium sound system" "CD player with AM / FM tuner", "Honda · HDD navigation system with voice recognition Rear Camera" In addition, the specification will be different. ※ 11 If you install the M "CD player with AM / FM tuner" or "Honda · HDD navigation system with rear camera speech recognition" "seat center table the first column" will be woodgrain. At that time, color-pattern is different depending on interior color. ※ 12 You can also select (-4.0 million yen) is not attached specification "(standard) CD player with AM / FM tuner." At that time, "Premium Sound System" "Honda · HDD navigation system with rear camera voice recognition (1)", "leather seats" can not be installed. 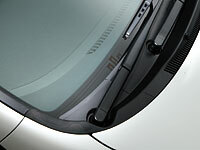 Simultaneous wearing of the "glass sunroof Front" (2) "power tailgate" can not be. (3) "audio remote control switch" is not installed. 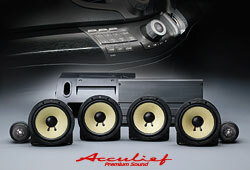 ※ 13 L can be installed simultaneously in the "Premium Sound System" and "rear entertainment system" can not be. ※ 14 Simultaneous wearing of the "Premium Sound System" and "CD player with AM / FM tuner" can not be. Will be installed also "audio remote control switch" If you install one also. ※ 15 If you install a "premium sound system", will be seven speakers. ※ 16 If you install the same time "Honda · HDD navigation system with rear camera speech recognition" and "Premium Sound System", CD changer will be 1CD/DVD Renso six players. ※ 17 If you install a "triple-zone air conditioning control full auto", will be "high-performance deodorizing air Kurinfiruta" "air Kurinfiruta" is. ※ 18 Color-pattern is different depending on interior color. * You are using a synthetic leather part. ■ Manufacturer's option are subject depending on the combination can not be installed simultaneously. Might become attached to the manufacturer and set several other options also. ■ Equipment are subject to change without notice and this specification. Please acknowledge it beforehand. ■ Delivery is different type, color, due to options. ■ ※ The maximum vehicle weight is if you install a combination of the manufacturer's option. Each combination of weight attached, please contact the sales company. ■ * Is the net value. And "net" is almost the same conditions was measured in a state of the engine mounted on a vehicle. ■ As a new unit, in "kW" from the "PS" output has been switched to "N · m" from "Kg · m" torque. ■ Fuel consumption rate is the value of the test under the conditions stipulated. At the time of actual driving, so you have this condition is different (weather conditions, road, vehicle, operation, and maintenance), fuel consumption rate will vary accordingly. ★ marked vehicle will be subject to green taxation (tax incentives promote the spread of fuel-efficient and low emission vehicles). (Until March 31, 2004) provided by the automobile acquisition tax relief measures at the time of purchase. In addition, (for the car new car registration until March 31, 2004) You will receive tax relief for the next fiscal year of purchase of car. ■ Main Specifications Model is a number written application for designation by the Road Vehicles Act. ■ ODYSSEY, Absolute, ALMAS, G-CON, IHCC, INTER NAVI SYSTEM, PGM-FI, Prospera Mattek, VSA, VTEC is a registered trademark of Honda Motor Co., Ltd..